Alzheimer’s caregivers in Oshkosh, WI, need a lot of help when it comes to caring for seniors with Alzheimer’s. Below are three of the leading Alzheimer’s specialists in Oshkosh. The Alzheimer’s Association Greater Wisconsin Chapter works to educate the public on the signs and symptoms that are associated with Alzheimer’s disease in adults. The organization hosts annual fashion shows, walks and fundraisers to offer support in the community and assist those who are living with the disease. The association is also affiliated with research that is conducted to discover more treatment options. Educational events are also hosted by the staff to provide resources and information to those who live with the disease and the Oshkosh Alzheimer’s caregivers who want to provide a higher level of home care in Oshkosh. Treatment is offered at Aurora BayCare Medical Center for seniors with Alzheimer’s. They prescribe medications to manage the disease to improve quality of life and to reduce the symptoms. Patients can take advantage of health counseling with the professional staff and undergo scheduled evaluations every six months to monitor the cognitive function of the patients. Caregiver support is also offered to those who are supervising adults who live with Alzheimer’s disease. Additionally, patients can be referred to support groups for proper emotional support and encouragement. 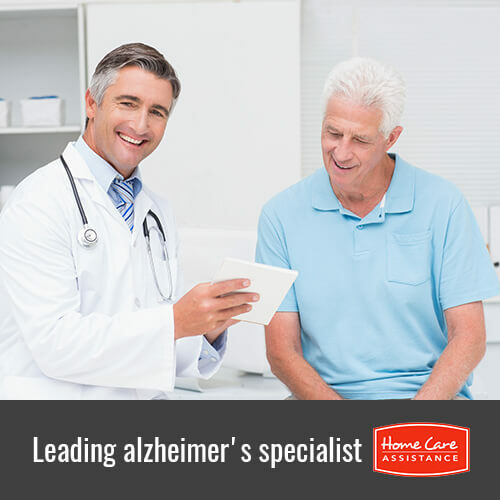 The Wisconsin Alzheimer’s Institute is one of the leading memory care centers in the local area that provides well-informed diagnoses and treatment of dementia for each patient. Treatment is provided to over 3,000 patients annually with 200 physicians on staff at 36 different clinics through the institute. Up-to-date research is used to offer high-quality treatment with a staff that has received guidance from the WAI and the UW Health Memory Assessment Clinic. Each medical professional on the staff stays informed and educated by attending bi-annual clinic network meetings and WAI’s annual conference. You can also turn to Home Care Assistance in Oshkosh, WI, for help looking after your loved one. We provide flexible Alzheimer’s, dementia and stroke care Oshkosh families trust to help seniors boost cognitive function and overall wellbeing. Contact us at (920) 710-2273 today to learn more about our services.